How to get the most out of your business when you want to retire. 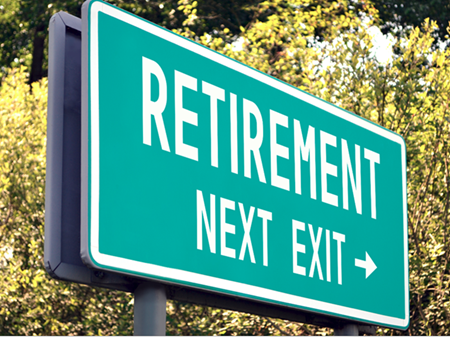 Have an exit strategy when you want to retire from your business. At some point, most small business owners start thinking about retiring from their business. One key dilemma retiring business owners confront is how to maximize the value of their company as they exit. The exit strategies available to business owners often depend on the type of businesses they operate. We describe some exit options for a few business types below. With a lifestyle company, the owner strives to make as much money as possible from the business. The owner does not plow profit back into growing the company and does not try to expand the company. During the years of operating the lifestyle company, the owner takes as much money from the business as possible and minimizes expenses. These firms are very small (often a single person.) Photographers, graphic designers, business consultants, business coaches, etc. are examples of lifestyle companies. As a lifestyle company, you have limited options for selling your business, since you are the business. You can consider the following two exit paths. If you have any long-term contracts, you could consider selling those contracts or working to transition those contracts to another company or individual. For example, if you are a corporate photographer and have several long-term clients, you could do a friendly sale to an employee/partner. You could bring in a younger photographer who wants to have his/her own firm. You could gradually decrease your time in the business and take a percentage of the firm’s revenue for a period after you leave. If you do not have any ongoing contracts, your exit options are limited. If your business has accumulated assets, you can just sell off those assets and close up shop. Your sellable assets would include furniture, equipment, inventory, company-owned vehicles, etc. You can contact an auction house about selling those items. If you sell depreciated assets, talk to your accountant about the proper accounting for the sale. As you near retirement, you could try to develop some ongoing revenue streams (long-term contracts.) If you develop enough significant ongoing contracts, you can then try to sell as mentioned above. If you run a Credentialed-Professional Services Firm…. architect, lawyer, accountant, doctor, etc.) Since these service providers must have professional certification, these businesses have some barriers to entry. If you have built a professional services firm with a staff of several professionals and a stable set of clients, you have a stronger business to sell. Your easiest path may be to sell to existing professionals on your staff. If no one on the staff is interested in being an owner, you could recruit a partner to groom as a successor. If you cannot find a ready buyer, you can look for other professional firms interested in expanding their client base. Many professional firms acquire other firms as a means of acquiring new clients and staff. Look to local industry networking groups as possible candidates. Most professionals want to be discrete about their decision to exit or risk losing staff and clients beforehand. You can engage an independent representative to start the connection process for you. For this article, we use the term “Commercial Firm” to refer to larger organizations with a large staff and a strong revenue stream. If you have built this type of commercial entity (especially with recurring revenue), you have a broader set of options for an exit strategy. You can consider most of the options above and you may be able to sell to a third party. You can engage a broker to help you sell your business. Be sure to check out the broker’s reputation and success rate carefully if you go this route. Think about your exit several years prior to your targeted exit. If you want (eventually) to sell your firm or hope to merge with another, make sure you keep your books and accounting systems very clean. If you are a corporation, put systems in place and keep regular notes of your board meetings. We will provide additional tips on preparing for the sale in our next blog post. If you need any help in planning for your exit, please contact us.